This last is, of course, entirely incorrect. Only two very small points occur to me. The first is that I have no such connection as you suggest with the house at Burnt Norton. It would not be worth while mentioning this except that it seemed to me to make a difference to the feeling that it should be merely a deserted house and garden wandered into without knowing anything whatsoever about the history of the house or who had lived in it. ... The other point is that I have never read or even heard of the book by Herman Melville.24 American critics and professors have been so excited about Melville in the last ten years or so that they naturally take for granted that everybody has read all of his books, but I imagine that bell buoys sound very much the same the world over. 24 I had suggested, with acknowledgement to Henry Reed, that a passage from Redburn lay behind the close of Part I of The Dry Salvages, Eliot mistakenly assumed Henry Reed was an American Professor of that name. Silly Helen, foolhardy Henry. What did Eliot expatriate for, if not to avoid reading American literature? "Little Gidding" was published in December 1942, so Eliot's reply to Gardner must be circa 1943. The implied professor is Henry Reed (1808-54), Wordsworth's American editor. 28 The Art of T.S. Eliot (1949), 160. The suggestion was made to me by Henry Reed. So we shall comfort ourselves with one Reed footnote to Eliot scholarship, instead of two. What makes for a best-selling memoir? Celebrity confessions. Confessions like Mackenzie Phillips reveals in her book, High on Arrival, that she had been involved in an incestuous relationship with her father. Such as Andre Agassi confessing that his trademark long hair was actually a wig and that he used crystal meth, in his forthcoming autobiography, Open. 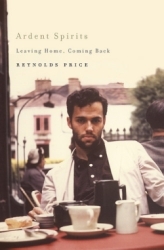 I confess, I don't actually know what bombshells Reynolds Price may drop in his recent memoir, Ardent Spirits: Leaving Home, Coming Back (New York: Scribner, 2009). I have my library's copy here, on my crowded coffee table. I haven't read it, yet. Not all of it. But I have found a pertinent piece of juicy gossip. Reynolds Price has been a Professor of English at Duke University for fifty years, and is an award-winning author of fourteen novels. Ardent Spirits is his third memoir, covering his three years as a Rhodes Scholar at Merton College, Oxford, beginning in 1955, until after his return to North Carolina in 1958, when he begins his teaching and writing careers. Price has never written openly about his sexuality until this most recent volume, where he refers to himself (and others) as "queer." While at Oxford, Mr. Price made the acquaintance of such literary luminaries as W.H. Auden, Stephen Spender, Cyril Connolly, and Helen Gardnerthen a fellow at St. Hilda's College. Price attended Gardner's lectures on the metaphysical poets, and her seminar in textual editing, and eventually she would sponsor his thesis on Milton's use of the Chorus in Samson Agonistes. Helen Gardner knew her subjects exhaustively and conveyed her mastery in lucid, but never condescending, lecturesone of the rarest of academic skills. She'd nonetheless been subjected to many of the disappointments of a brilliant woman in what was then distinctly a man's world. Stephen Spender would eventually tell me that he'd heard from W.H. Auden that, when she held a job at the University of Birmingham, Gardner fell in love with the poet Henry Reed. Reed, however, was queer; and Gardner's encounter with that reality led to a psychotic breakdown. In the absence of a good biography, I can't vouch for Auden's story; but it has a likely sound, especially since I slowly became aware of her reservations about many of her male colleagues at Oxford, and more than once I heard her cast strong aspersions at Auden and his friends. As her pupil, of course I was fascinated to hear of those possible early troubles in her life. Wow. This is not the sort of literary footnote I usually get to post. Still, I'm inclined to say Mr. Price's rumor is simple hearsayan exaggeration as a result of a game of Telephone among poetsconsidering that Reed sent Gardner a copy of Eliot's "East Coker" in the spring of 1940, and that Gardner, in 1942, credited Reed with a point relating to "The Dry Salvages" (see previously). That hardly sounds like the aftermath of an unrequited love affair and mental breakdown. Dame Helen Louise Gardner (1908-1986) was a professor, critic, and editor, but above all, she was a scholar. Her work on Shakespeare, Milton, Donne, Eliot, and religious verse is still greatly respected, and earned her honorary doctorates from London, Harvard, Yale, and Cambridge Universities, among others. She took an M.A. at St. Hilda's College, Oxford in 1935, and returned to the school in 1941, teaching at Oxford until 1975. She was made a DBE in 1967. Helen Gardner began her career as an assistant lecturer at the University of Birmingham in 1930. She took a position at the University of London in 1931, but returned to Birmingham as a lecturer in English from 1934-41. In her book, In Defense of the Imagination (Harvard University Press, 1982), Gardner recalls receiving a packet in the mail in the spring of 1940, in the midst of the "phoney war." Inside was the Easter Number of the New English Weekly, which contained a new poem by T.S. Eliot. 'I found myself reading a poem that offered no easy comfort, but only the true comfort of hearing a voice speaking out of the darkness without cynicism and without despair.' The poem would inspire her to recommend Eliot as wartime reading during a series of public lectures that summer. The poem was "East Coker," the second of his Four Quartets, and it had been sent to Gardner by none other than Henry Reed, who had been a graduate student at the University of Birmingham from 1934-36. Mr. Henry Reed, to whom I am indebted for much sympathetic and illuminating criticism, and without whose encouragement this article would not have been written, has pointed out to me a passage in Herman Melville's 'Redburn,' from which some of the sea imagery of 'The Dry Salvages' may derive. The voice of Mr. Eliot's seabell is certainly very like the sound of the Liverpool bell-buoy which Redburn heard as he sailed into the Mersey. After running till about midnight, we "hove-to" near the mouth of the Mersey; and next morning, before day-break, took the first of the flood; and with a fair wind, stood into the river; which, at its mouth, is quite an arm of the sea. Presently, in the misty twilight, we passed immense buoys, and caught sight of distant objects on shore, vague and shadowy shapes, like Ossian's ghosts. As I stood leaning over the side, and trying to summon up some image of Liverpool, to see how the reality would answer to my conceit; and while the fog, and mist, and gray dawn were investing every thing with a mysterious interest, I was startled by the doleful, dismal sound of a great bell, whose slow intermitting tolling seemed in unison with the solemn roll of the billows. I thought I had never heard so boding a sound; a sound that seemed to speak of judgment and the resurrection, like belfry-mouthed Paul of Tarsus. It was not in the direction of the shore; but seemed to come out of the vaults of the sea, and out of the mist and fog. Who was dead, and what could it be? I soon learned from my shipmates, that this was the famous Bett-Buoy, which is precisely what its name implies; and tolls fast or slow, according to the agitation of the waves. In a calm, it is dumb; in a moderate breeze, it tolls gently; but in a gale, it is an alarum like the tocsin, warning all mariners to flee. But it seemed fuller of dirges for the past, than of monitions for the future; and no one can give ear to it, without thinking of the sailors who sleep far beneath it at the bottom of the deep.